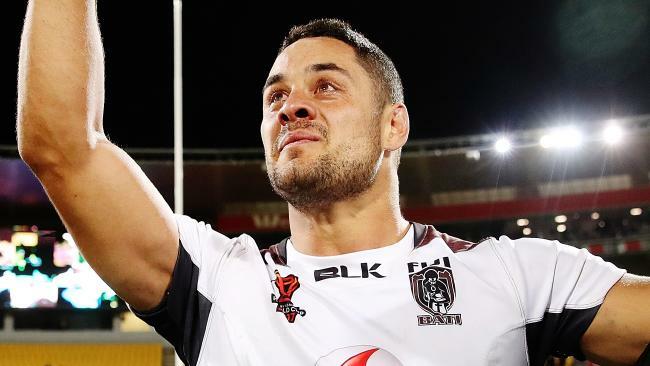 Jarryd Hayne celebrates Fiji’s win over New Zealand. HE has played NRL grand finals, cracked the big time in NFL, won Origin matches almost single-handedly and claimed two Dally M Medals. Fijian star Jarryd Hayne is made for the big occasion. And that's what concerns the Australian camp ahead of this weekend's Rugby League World Cup semi-final against Fiji in Brisbane. So the man who helped mould Hayne's early career is contributing to the game plan to shut him down. Michael Hagan was Parramatta coach when Hayne burst on to the scene as a rookie in 2006. Now, 11 years later, he is plotting the downfall of Hayne and his Fijians as Mal Meninga's Kangaroos assistant. Hagan worked with Hayne for three seasons at the Eels, witnessing first-hand the skill of one of the most dangerous players in rugby league. "He has always shown he can perform in big games. That is something else for us to consider this week," Hagan said. "I reckon he would be among the more talented young blokes I have come across in my time." 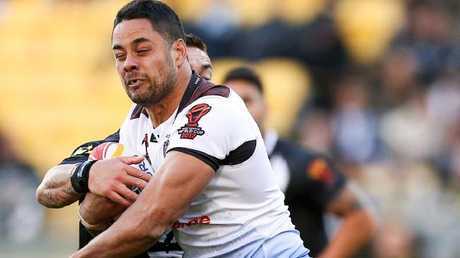 After a difficult season with the Gold Coast which resulted in the Titans missing the finals and coach Neil Henry being sacked, Hayne has found form in the freestyle Fijian football at the World Cup. "He has great instincts for the game and seems to know where to be at the right time," Hagan said. Jarryd Hayne is a handful for rival teams. Hayne is Fiji's main man. If he flicks the switch, Fiji stand some chance of upsetting the favourites. "He has assumed that leadership role and playing at six too, (Fiji coach) Mick Potter has shown the confidence in him to run the team," Hagan said. Australia promise to show respect for Fiji, although they are heavy underdogs. The islanders rolled into the semi-finals after a historic 4-2 win over New Zealand in Wellington on Saturday night. 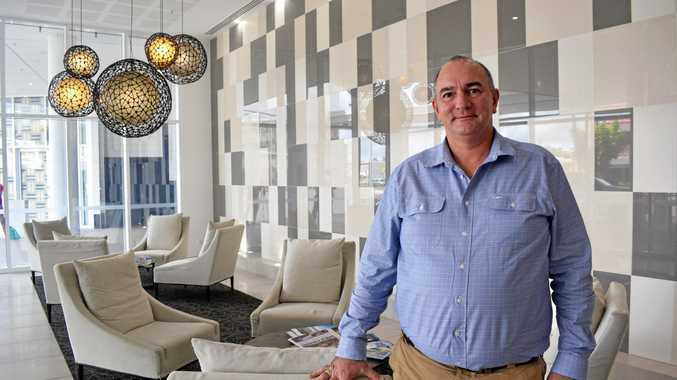 "Fiji all seem to be well-connected and are full of confidence," Hagan said. "They are playing with a lot of spirit and have a lot of belief in their team. "They are worthy semi-finalists and we have to treat them that way." Hayne and his side privately rate themselves a chance of causing the biggest boilover in World Cup history.